Posted on March 23, 2010, by Kudzai, under Gender Masala, reproductive health, women, men and more. 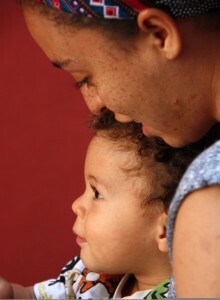 Like many women, I have always wanted to be a mother and motherhood was supposed to be part of my life journey. Well life is not always going to be what you planned. For years, I went through a painful emotional journey of trying to get pregnant, and alas, failing at every attempt. Posted on March 16, 2010, by Kudzai, under Gender Masala, human rights, women, men and more. 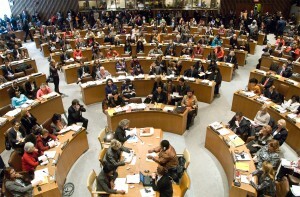 International Women’s Day has come and gone and government and civil society representatives of women have packed up and flown back home from the Beijing +15 review at the annual Commission on the Status of Women (CSW) in New York. For International Women’s Day there was plenty of activity, with celebrations and commemorations around the world. More ordinary women and men now know about this international day to celebrate women than ever before. Just ten years ago you might have struggled to get a significant positive response if you went out into the streets and asked random people if or what they knew about March 8th. Gender Matters! Can the UN bring change? Posted on March 9, 2010, by Kudzai, under Gender Masala. Well, two predictions of mine are bearing out. First, the chaos of organising such a large meeting led to some people queuing for five to eight hours to register for the official CSW meeting. On the bright side, such long waiting times did mean unplanned networking and a sense of solidarity among the thousands of participants despite the indignity of it all. It also led to the absurdity of one of the key speakers of an official opening panel failing to get in to speak because she was stuck in a queue. Once people managed to get their badges, the next hassle was getting into the sessions. There are passes for official meetings — which of course ran out — and in the NGO parallel space the large numbers and fire restrictions meant even those willing to stand or sit on the floors were being turned out. Copyright © 2010 IPS. All rights reserved. The contents of this blog are the personal views of the writers alone and do not represent the views of IPS news agency or any of its partners or supporters. 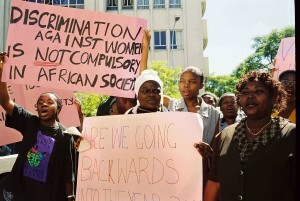 This blog is part of the IPS-Communicating for Change: Voice, Visibility and Impact for Gender Equality, financed by the Dutch MDG3 Fund. IPS - Inter Press Service.